In a society that largely has Buddhist roots, it is easy to be a vegetarian in Saigon. 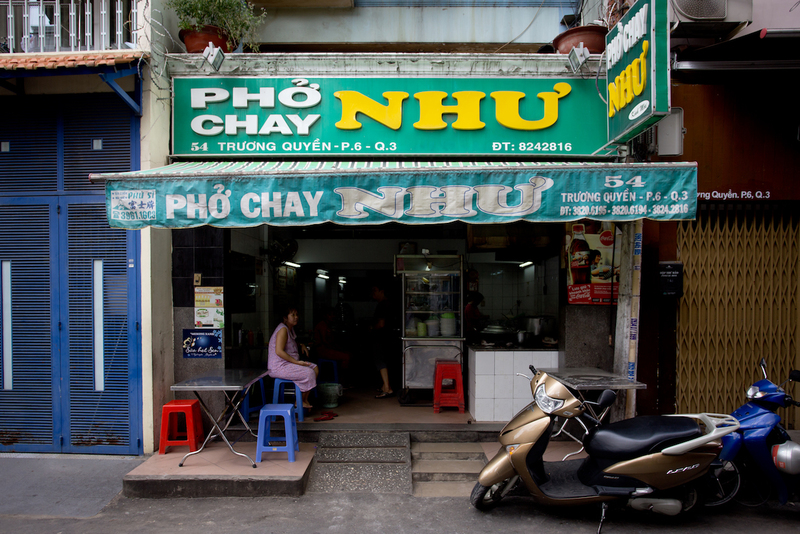 “Do an chay” (vegetarian food) can be found on nearly every street corner. More and more Saigonese are leaning towards eating more vegetarian dishes to help them temporarily forget about their daily woes. 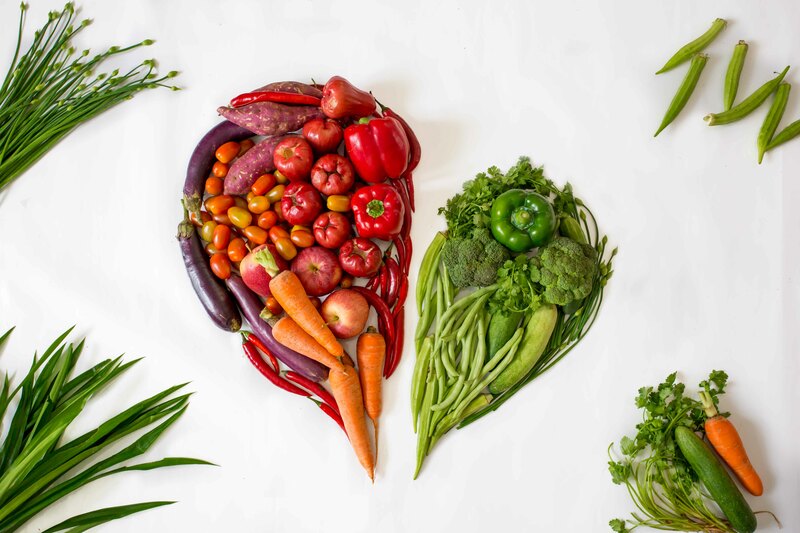 New research has confirmed that certain vegetables are aiding in the fight against diseases and that being said, many vegetarian restaurants have been cropping up in line with these findings and are winning over the hearts of Saigon’s gourmands. Here are useful tips and suggestions for some of the most highly-rated vegetarian restaurants for readers. Located on Vo Van Tan street, the restaurant’s name contains the word ‘Hum’ belonging to the popular Sanskrit mantra: ‘Om mani padme hum’, which symbolizes the jewel in the lotus. As such, the name reveals why the layout of Hum restaurant is decorated around a lotus theme. Hum restaurant has succeeded in capturing the spirit of a traditional pagoda. Visitors are greeted by a zen, cozy space highlighted by a small pond brimming with colorful lotus blossoms. 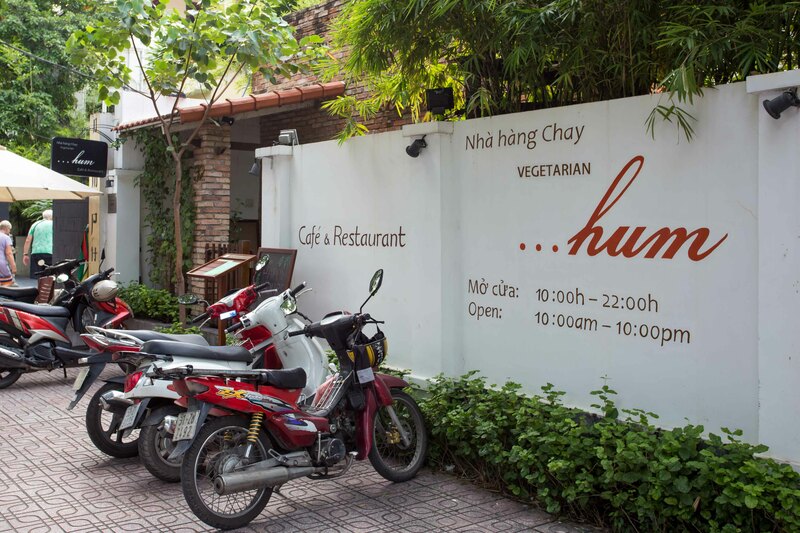 Hum has now become the prime spot for those who love eating delicious vegetarian food. The restaurant guarantees the dishes are made with the freshest ingredients and cooked by only the most skilled chefs. That makes the flavor profile quite unique and impossible to replicate. The restaurant guarantees the dishes are made with the freshest ingredients and cooked by only the most skilled chefs. Pho is the symbolic dish of Vietnamese cuisine. But if you are a vegetarian wishing to sample this delicious bowl, the mainstays i.e. pho bo (beef) and pho ga (chicken), are not appropriate options. Fortunately, the vegetarian version of pho, called pho chay, is the perfect alternative. 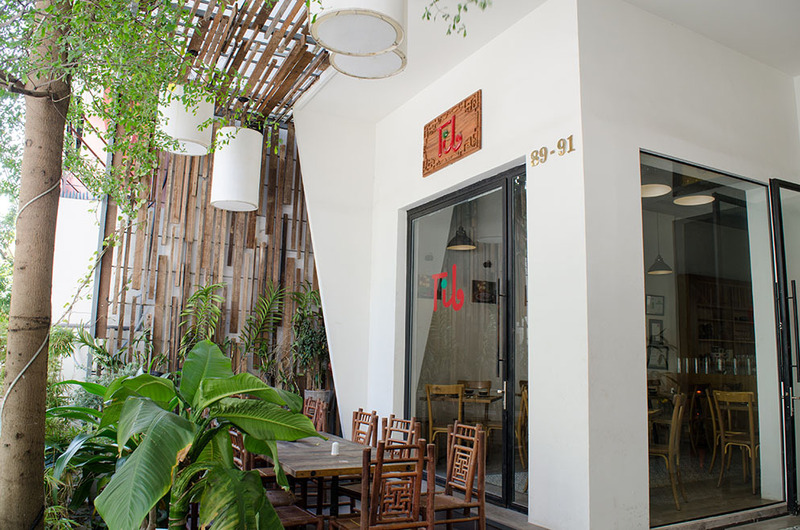 It would be remiss not to mention Pho Nhu Vegan when it comes to the locations serving the best bowls of pho chay in Saigon. This is not a fancy space. Prices are not on the budget traveler’s side, but the place is almost always full thanks to the high quality of each dish served here. At Pho Nhu Vegan, the toppings are minimal so that the broth can stand out better. Hidden in each bowl of pho chay is a pretty complex broth, flavor-wise, due to the skillful combination of different types of mushrooms, the slight sweetness from the carrots, and the charming fragrance from the charred onion and ginger. Just a small note, this is not gluten-free. However, if you are not a complete vegetarian, check out this list on where to find the best pho in town. 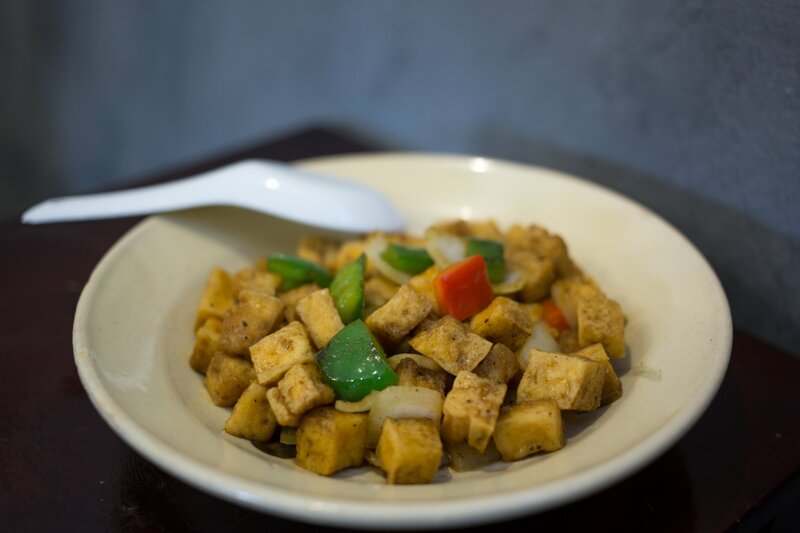 Known as one of the restaurants of the Tib chain, a popular restaurant operation selling Hue specialties, Tib Vegetarian occupies two floors and spots elegant and cozy décor. While the first floor is bedecked in a modern style, the second floor is laid out in typical Buddhist architecture. Outside is a romantic balcony where diners can eat their meal. The balcony offers the best seat in the house as it doubles as a fantastic lookout when the sunset breaks over the cityscape. They also have a spacious dining area, which can host large groups of up to 20 people. If you have a chance, come and discover what treasures lay hidden in every corner of this amazing restaurant. 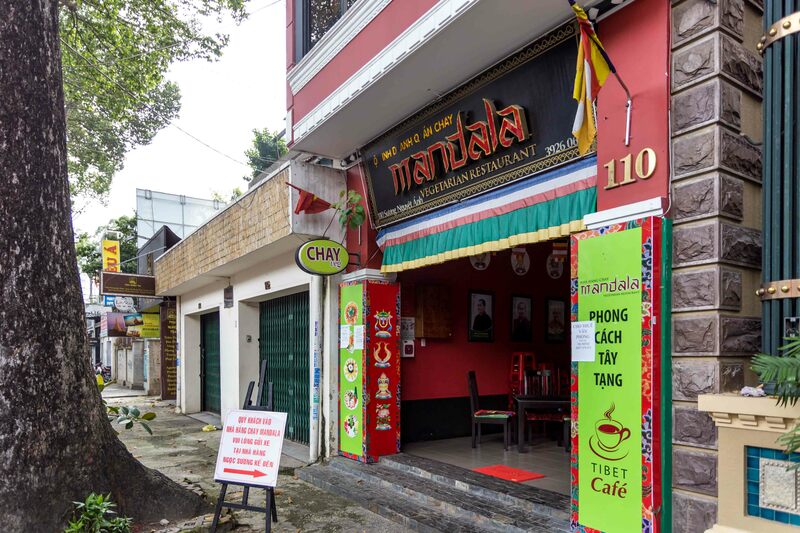 Mandala Vegetarian Restaurant is in close proximity to “Small Tibet” in the heart of Saigon. For decoration, intricate paintings hang across the walls and on the ceiling, multi-colored stones pave the walking path, and a small pond flanked by a miniature tower replica sits quietly in the courtyard. This is the spot to retreat to when looking for some peace of mind from the chaos. As much of a highlight as space itself, the restaurant’s menu offers a variety of nutritious veggie dishes with quite strange names: goi mien Nepal, bong bi chien gion, dau hu phi pha, dau rong xao ruoc, etc., which can satisfy even the pickiest customers. Slightly pricier than other rivals, the dishes range from 50,000 to 60,000 VND per plate, except the hot pot which costs 110,000 VND. But the meals never fail to enamor new customers who eventually become regulars. Traditionally, fish and meat make a banh mi filling. However, most vendors can make a meatless banh mi stuffed with a varied mix of fresh vegetables, cheese, and fried egg according to customer’s demands. In Ho Chi Minh City, it is easy to stumble upon lovely ladies selling various kinds of colorful sticky rice. 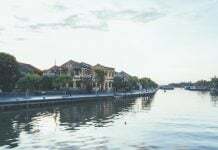 For locals, the scene of Vietnamese locals pulling up on the motorbikes and grabbing a takeaway box of sticky rice for their morning fare is quite familiar. Most of the vendors work early in the morning and pack up by 9 a.m. 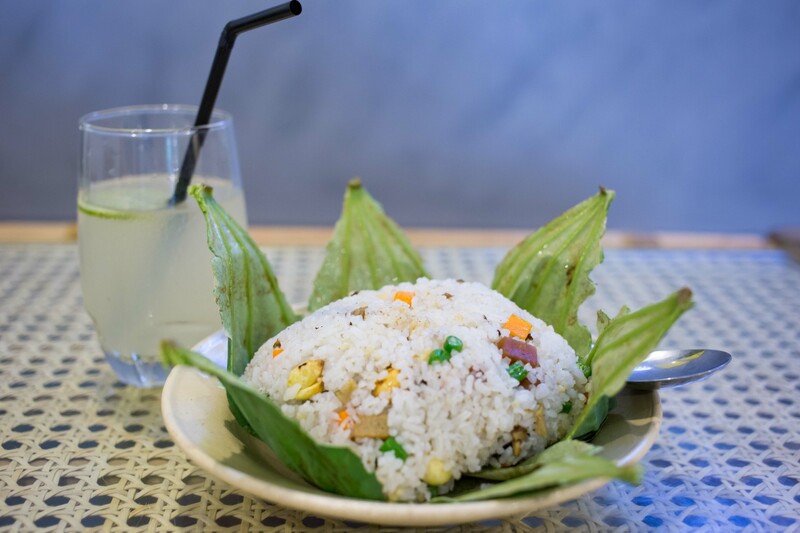 So if you want to try out this colorful sticky rice affair, you need to get up early. You serve Xoi Chay with chickpeas, sugar, roasted peanut, and shredded coconut, but sometimes the vendors will add some secret ingredients. 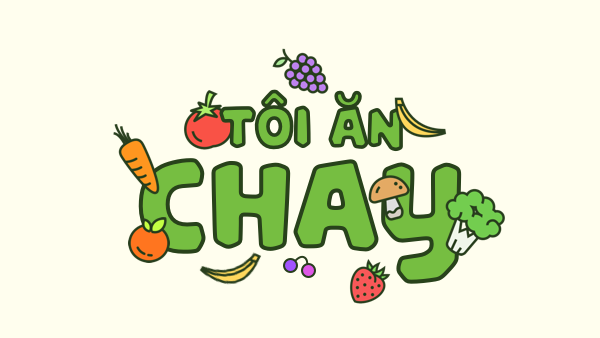 A box of xoi chay costs between 10,000 to 20,000 VND. Be wary that not all dishes have the vegetarian version. Sometimes, a dish may seem to have only vegetables but perhaps fish sauce or shrimp paste may have been an additional ingredient. However, all you have to do is ask the seller. 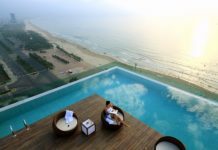 Locals in Vietnam are very hospitable and will be willing to answer. Or sometimes, even make a special vegetarian version of the dish for you. So you see, going vegetarian in Saigon is not a hard task. Hopefully this article helps you find a diverse array of food to eat during your stay. Let us know if you find any favorite dishes in any of these restaurants so we can add them to the recommendations. 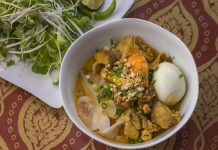 For more information on Vietnamese eats, click here, or follow us at the Christina’s blog for travel tips!